Chris will also design little girl's bracelets, team spirit bracelets, or anything else you can imagine! Every attempt will be made to accommodate customized requests. 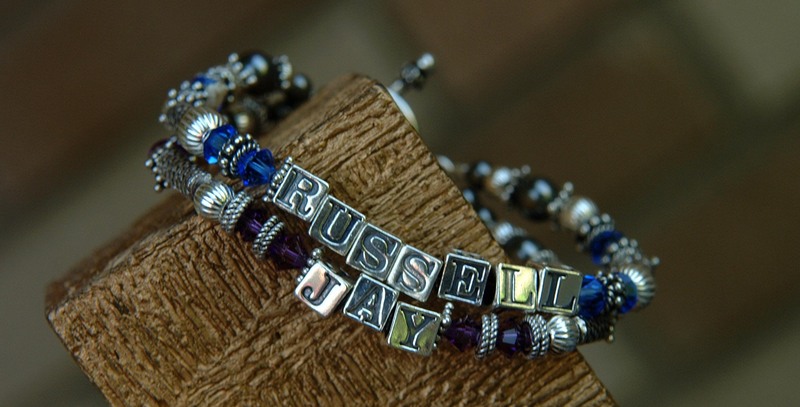 Every bracelet is made with sterling silver beads, bali beads, and Swarovski crystal accents. 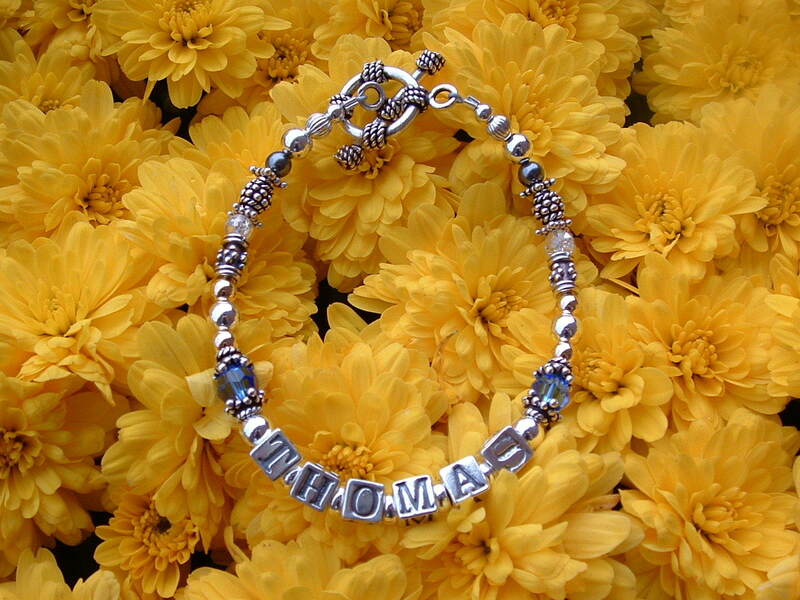 Moreover, each bracelet is unique and personalizable. Add names, birthstones, and more. You decide. Sterling silver and Bali beads combined with Swarovski® crystals to serve as a constant reminder of Christ in our lives. Black represents the sins of man. Red reminds us that his blood was shed. Clear/White reminds us we can put our faith in Him. Blue symbolizes the Holy Spirit sent to guide us. Green signifies growth in our new life. Gold reminds us of the Heaven He has promised us.